Home / Blogs / Commercial Carpet Cleaning in Perth, Western Australia. What you need to know about selecting a commercial carpet cleaning company in Perth, Western Australia. First of all, as with any investment, due diligence must be performed to determine if the business you have chosen to complete the carpet cleaning, is a registered business with an active ABN and registered for GST. It is also important to confirm the business has current public liability insurance and workers compensation insurance plus a national police clearance. This may sound like basic requirements however, some businesses choose to operate their carpet cleaning business without these additional overheads, putting you and them at risk. Quite often, a third party may be involved in the transaction. This could be in the form of a contracted general cleaning company. In my opinion, by contacting your local Perth based carpet cleaner directly is the best way to ensure a quality service is received. When contacting a general cleaning company for carpet cleaning, they will ( in most cases ), subcontract the carpet-cleaning job out, with the focus on profit not quality, which quite often leads to poor workmanship and results. This is understandable as the subcontracted carpet cleaner completing the work, is only receiving a fraction of the quoted charge, while the general cleaning company profits purely for organizing the job to be completed. We have experienced this firsthand where our charge did not allow the general cleaning company enough profit and therefore we were unsuccessful in securing the contract. This is very common where tenders are requested to be submitted, for cleaning of schools and Government buildings. Now that you have completed those basic checks this next level of investigation will help you make a smart, informed choice. One of the most important questions to ask would be; are they a registered member of The Carpet Cleaning Association of WA. All members of The Carpet Cleaning Association of WA (CCAWA) are required to have an active ABN, hold a National Police Clearance and current Public Liability/ Workers Compensation insurance. You can be confident with a CCAWA member that the selected carpet cleaning technician is fully trained, certified in carpet cleaning, upholstery cleaning and advanced stain removal procedures as well are compliant in OH&S procedures having received relevant training. Factors also to be considered when requesting carpet cleaning for buildings such as schools, offices and health service providers, would be the staff or patrons of these buildings who may have chemical sensitivities. Where there is a large number of staff or patrons, the likelihood of someone suffering a reaction to a fragrance or chemical, is extremely high. Some people genuinely suffer severe reactions to fragrances/chemicals and with volatile organic compounds (VOC) found in cleaning solutions and solvents, and some of these chemicals can leave behind residues and even airborne dust particles. There are cleaning solutions, which offer a fragrance free VOC free option, which is highly recommended to alleviate any risk to staff or patrons. A topic I find interesting is carpet cleaning in schools. With changes to schools budgets and funding, many schools are failing to maintain their carpets and upholstery to an acceptable hygienic level. With 25 years experience of carpet cleaning in Perth, I have regularly attended schools to quote on carpet cleaning. So often what I assess is filthy, urine soaked; unhygienic carpets, with students required to sit and play on said carpet. Adding moisture to such carpets without undertaking the correct cleaning practices can actually make the problem worse, creating a breeding ground for bacteria. Using underpowered equipment will add to this breeding ground because the equipment is not adequate to remove the majority of moisture and a lack of ventilation or fresh air will result in long drying, allowing bacteria to breed. The main problem, once again, is that schools are including their carpet-cleaning with the general cleaning budget. As previously mentioned , the problems arise when the general cleaning contractor ( that often has little or no training in the carpet cleaning industry) employs untrained staff to clean the carpet cleaning or they simply contract the carpet cleaning service out, to the subcontractor who comes in at the lowest price, allowing for greater profit margins. I do continue to educate consumers in the hope that this will change and to date we have a number of independent schools and early learning centers who we service bi annually/annually, to provide hygienic carpet cleaning for staff and students. Breathe Easy Carpet Cleaning in Perth Western Australia has perfected commercial carpet cleaning over the last 25 years, offering our clients a true professional service with a range of fragrance/perfume free environmentally sustainable cleaning solutions that contain active film technology which helps to repel soiling, keeping the commercial carpet, cleaner for longer. 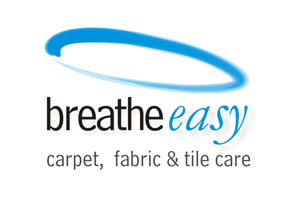 This article is the opinion of Andrew Connell owner of Breathe Easy Carpet and Fabric Care.